Shabooh Shoobah is Australian rock group INXS's third studio album and was released on 16 October 1982. It peaked at No. 5 on the ARIA Albums Chart and remained on the chart for 94 weeks. It was the band's first album to be released worldwide and appeared on the United States Billboard 200 and on the Hot Pop Albums Chart. The album spawned four singles, "The One Thing" (July 1982), "Don't Change" (October), "To Look at You" (March 1983) and "Black and White" (June). It was produced by Mark Opitz for WEA Australia with most tracks written by band members Andrew Farriss and Michael Hutchence. The name "Shabooh Shoobah" is an onomatopoeia of a rhythm in the song "Spy of Love". 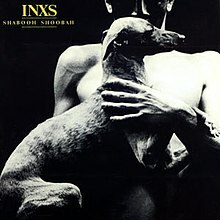 INXS's third album, Shabooh Shoobah, developed after they decided in early 1982 to record a new song, "The One Thing", at their own expense, with Mark Opitz at Paradise Studios. The song turned out so well that band hired Opitz to produce three more songs. WEA Australia were approached with copies, leading to INXS signing a recording deal in July 1982 with WEA for releases in Australia, South East Asia, Japan and New Zealand; with sister label Atco Records (a subsidiary of Atlantic Records) for North America and with Polygram for United Kingdom and the rest of Europe. Initially, INXS were not convinced that Opitz could produce an entire album that would attract international interest. Prior to recording the rest of Shabooh Shoobah, three band members, Kirk Pengilly, Michael Hutchence, and Andrew Farriss, visited the UK and United States, to select another producer. However, they found that no one they wanted was available and that most people advised them that Opitz's work on their single was as good as they could wish for. So in mid-1982, they commenced recording at Rhinoceros Studios, with Opitz. Tim Farriss felt "Mark was the first producer that was able to capture some glimmer of what the band felt it was like live. Prior to us, Mark had done bands like AC/DC, Cold Chisel, The Angels. Big guitar sounds, mighty drum beats". In October, Shabooh Shoobah was released internationally on Atlantic/Atco Records and Mercury Records, peaking at No. 52 on the US Billboard 200 and No. 46 on the Hot Pop Albums chart. In Australia it peaked at No. 5 on the ARIA Albums Chart and remained on the chart for 94 weeks. The lead single, "The One Thing", brought their first US Top 30 hit on 28 May 1983, it was a Top 20 hit in Canada, and peaked at No. 14 in Australia on 23 August 1982. "One Thing" was their first video to air on the fledgling MTV and added to the chart success of the single. INXS undertook their first US performance in San Diego in March 1983, to a crowd of 24 patrons. The tour was as support for Adam and the Ants, then support for Stray Cats, The Kinks, Hall & Oates followed by The Go-Go's. INXS played alongside many of their contemporaries on New Wave Day in May 1983, at the US Festival in Devore, California. It was during this time that Gary Grant, their co-manager, relocated permanently to New York to ensure a continual presence in the northern hemisphere. The band remained on the road in the US for most of the year, including support for Men at Work and by mid-1983 were headlining venues such as The Ritz in New York. Reviewed at the time of release, Rolling Stone Australia said, "After the funk and ska of their last two albums, this one is sort of expensive tribal - a touch of the furry animal, a hint of the pagan and some gilt edging. Perhaps it's too glib to dismiss INXS as the next Duran Duran, but undeniably Shabooh Shoobah has all the hallmarks of current British pop." ^ Brackett, Nathan; Hoard, Christian, eds. (2004). The New Rolling Stone Album Guide. Simon & Schuster. p. 406. ISBN 0-7432-0169-8. ^ a b McGee, David (June 1983). "Inxs: Angry Young Men at Work". Record. 2 (8): 3, 30. ^ Marsland, Matthew (October 2012). "30th Anniversary of 'Shabooh Shoobah'". Michael Hutchence. Retrieved 20 November 2015. ^ a b c d e f g h St John, Ed (1998). Burn : The life and times of Michael Hutchence and INXS (doc). Bantam Books, Sydney. ISBN 0-733-80182-X. ^ a b c Bozza, Anthony (2005). INXS Story to Story : The official autobiography (doc). Bantam Books, Sydney. ISBN 0-593-05517-9. ^ a b McFarlane, Ian (1999). "Encyclopedia entry for 'INXS'". Encyclopedia of Australian Rock and Pop. Allen & Unwin. ISBN 1-86448-768-2. Retrieved 16 November 2008. ^ Nimmervoll, Ed. "INXS". HowlSpace. Archived from the original on 21 February 2001. Retrieved 17 November 2008. ^ a b Holmgren, Magnus; Shaw, Julian; Meyer, Peer. "INXS". Australian Rock Database. Archived from the original on 12 December 2011. Retrieved 16 November 2008. ^ "Artist Chart History – INXS – Albums". Billboard. Prometheus Global Media. Retrieved 6 March 2008. ^ "INXS > Charts & Awards > Billboard albums". Allmusic. Rovi Corporation. Retrieved 6 March 2008. ^ a b Kent, David (1993). Australian Chart Book 1970–1992. St Ives, Sydney: Australian Chart Book. ISBN 0-646-11917-6. Note: Used for Australian Singles and Albums charting until ARIA created their own charts in mid-1988. ^ Whitburn, Joel (1991). Billboard Hot 100 Charts : The Eighties. Record Research Inc. ISBN 0-89820-079-2. ^ "INXS > Charts & Awards > Billboard singles". Allmusic. Retrieved 6 March 2008. ^ Toby Creswell (4 November 1982). "INXS exceed past efforts". Rolling Stone Australia. No. 359. ^ "RIAA Certifications". Recording Industry Association of America. Archived from the original on 7 September 2012. Retrieved 6 December 2009.